We have a wide variety of fine fabric and full grain leather upholstery available. 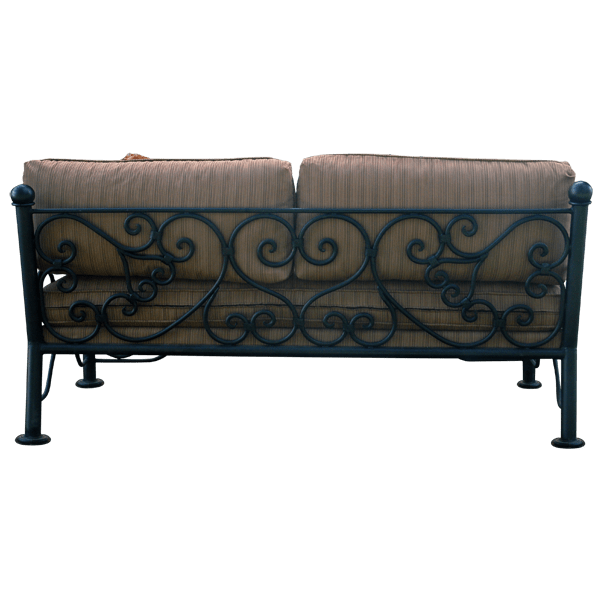 This lovely, handcrafted, Western style bench can be upholstered in the color and style of fabric or leather appropriate for your home décor. The bench´s padded seat is covered with beautiful, textured, fine fabric, and the same fabric is used to upholster the seatback´s two, comfortable, padded cushions. The seat and the seatback are supported by a gorgeous, curved, hand forged, iron work frame. 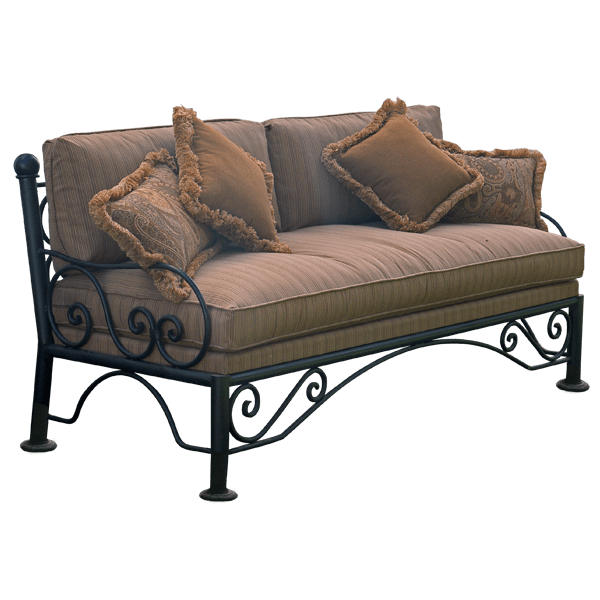 The bench rest on hand forged, iron legs, and the legs are joined on the front and on the sides by curved, hand forged iron designs. 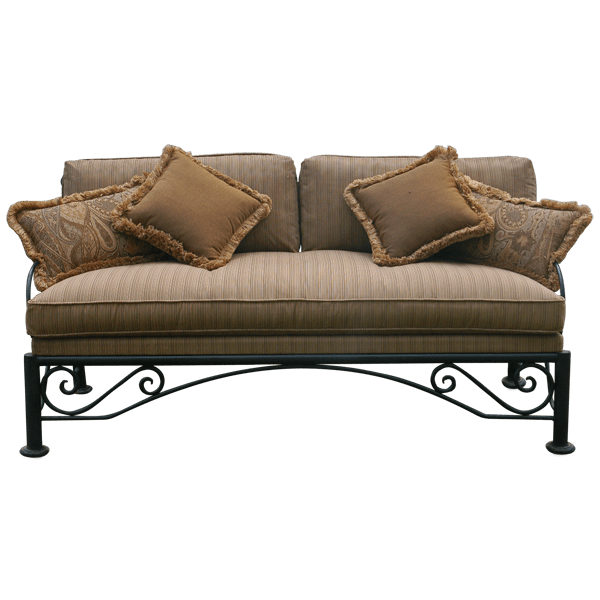 We can create custom pillows to accompany this bench in any style that you would like. The bench is 100% customizable.